SmartStack is validated with industry leading virtualisation solutions from VMware, Microsoft, Citrix and Oracle. Choosing some or all of these hypervisors gives SmartStack users the flexibility to deliver virtual servers efficiently without any compromises. The ease of scaling means these virtualisation platforms can grow in line with your business growth. 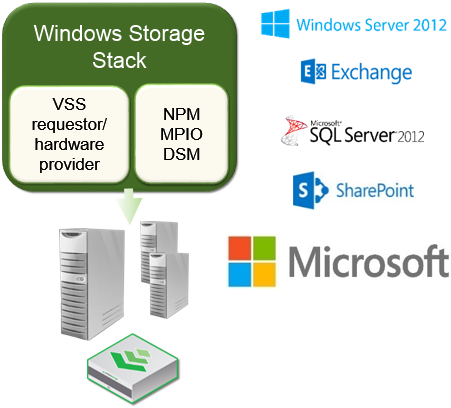 Full VSS integration with Microsoft ensures your SQL databases or Exchange servers are backed up with application consistency, ensuring data is usable when recovered from a backup. 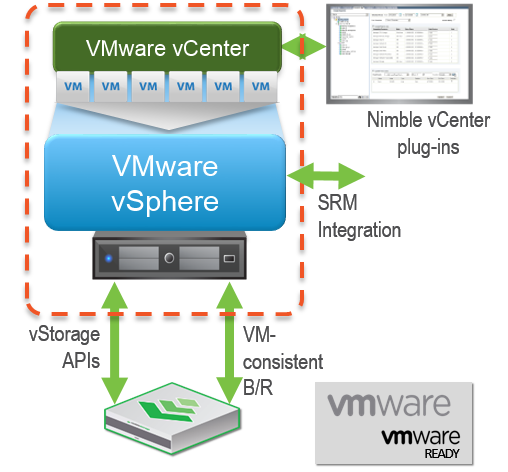 VMware VAAI provides tight integration between Nimble Storage and the ESXi hypervisor to deliver better performance. With full VMware SRM support, Nimble Storage replication can be used to provide automated failover of virtual machines in the event of a planned or unplanned outage, ensuring services can be recovered quickly at the surviving site. The list of supported applications continues to grow, and referenced in validated designs as they become available. If you have any queries about a specific application or want to discuss integration in more detail, then we can arrange a call back from one of our technical specialists.